Adagio immediately has my respect with this tea. Never before have I seen gemstones used in the naming of a tea - much less then used in relating the qualities of said gemstone to the tea itself! 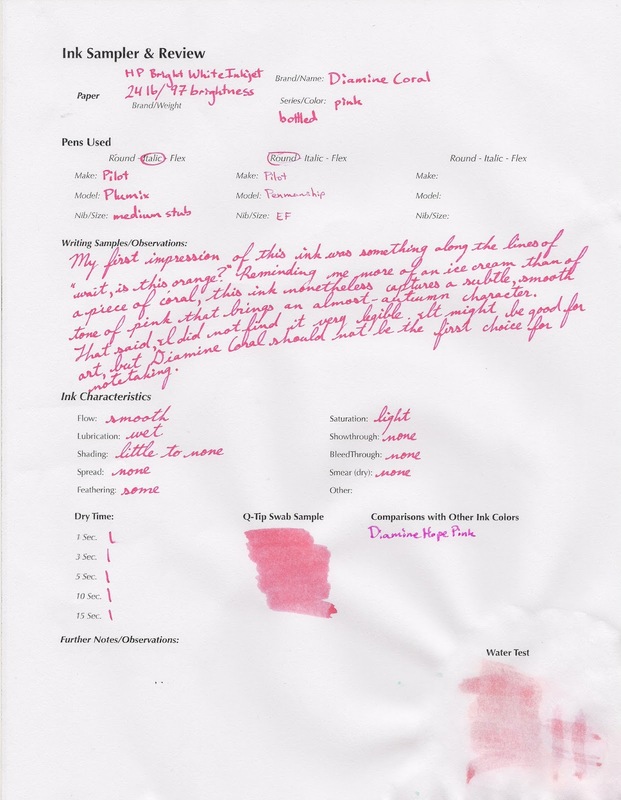 Adagio Teas' Tiger Eye black tea has notes of caramel and chocolate they say are reminiscent of the "undulating, contrasting bands of color and luster" in the Tiger Eye gem. Time to "polish" off a cup of this tea! The aromas that waft from an open bag of this tea seem like a dessert in and of themselves! With caramel flavor, cocoa nibs, chocolate flavor, and vanilla flavor all accenting black tea, it immediately reminds me of toppings for ice cream, drizzled over tea. The caramel and vanilla are especially prominent scents, while the chocolate aroma blends really well with the black tea and provides a nice background (to the dry leaf). 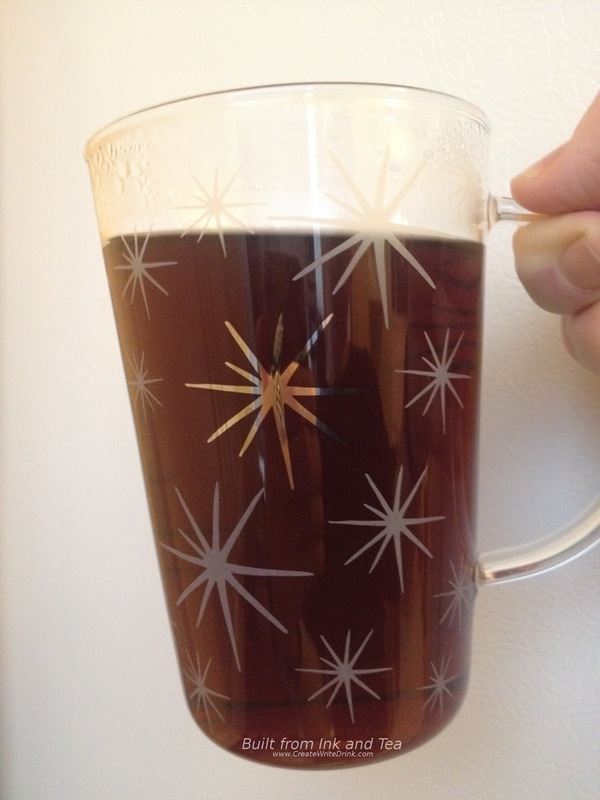 Steeping a teaspoon and a half of tea in twelve ounces of just-boiled water for three minutes, the resulting brew is a clear, clean-looking dark brown. 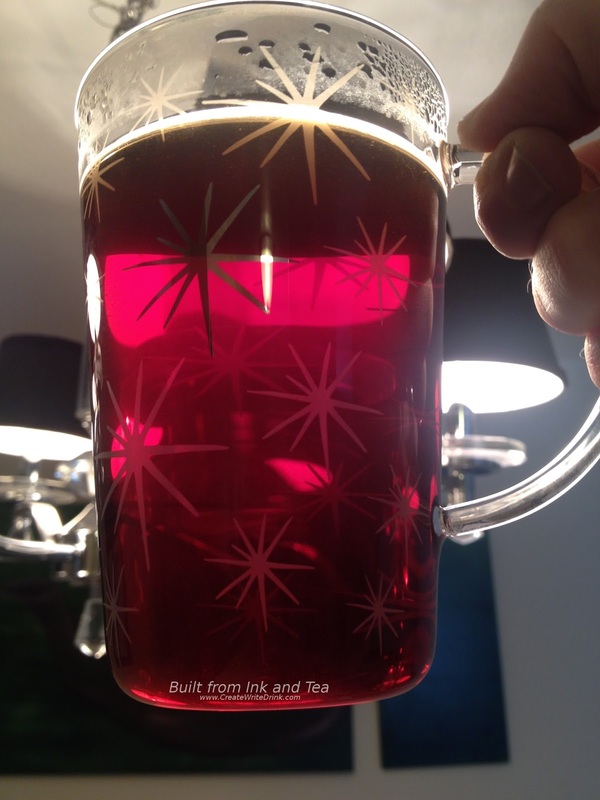 The richness of the chocolate makes itself more prominent in the brewed tea aroma. The first sip tastes like liquid dessert being poured over my tongue. I appreciate that it is not an immediate hit of sweetness but rather a definite surge of black tea, edged and enhanced with sweet flavors. This tea is definitely different than most of the plain black teas I have been drinking recently, and this makes the strong chocolate notes more noticeable. I find them to be the most prominent, with caramel coming in the mid-tones, and vanilla finishing and lingering in the aftertaste (along with some caramel). While I would love to recommend this as a dessert alternative, I would imagine that - for most people - drinking a cup of black tea after dinner might mess with their sleep patterns. So by all means, have this liquid dessert to start your morning! Or after lunch! Or as a mid-afternoon pick-me-up! 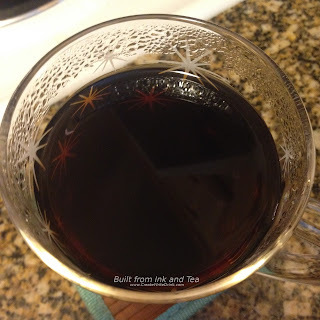 The flavors are well-blended, and - despite how many sweet flavors are encompassed in Tiger Eye - I was still able to taste the black tea quite well. On my personal enjoyment scale, I would rate this tea a 3. Photo credit to Built from Ink and Tea. Adagio Teas' Tiger Eye is available from their website, here. This tea was provided for my unbiased review by Adagio Teas. You can read more about my Personal Enjoyment Scale, here. Text is copyright 2016, Built from Ink and Tea. 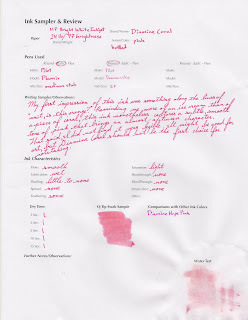 This week, while reviewing Adagio's Pu Erh Poe, I began rambling about the difference in how that tea felt from last week's review of Adagio's Pu Erh Dante. While it may have been nothing more than rambling, I felt that it seemed fitting to preserve that writing under a separate post, giving it the sadly-under-used tag, "teadrunk-en rambles." This may seem like a strange differentiation, but it is here that I think I might have hit upon the main difference between Pu Erh Poe (this tea) and Pu Erh Dante (last week's tea). Poe feels "woodsy," while Dante felt "foresty." The distinction is hard for me to put into woods, but let me try. Dante felt like a walk in a forest after a rain, all dark greens and browns everywhere, damp aromas filling the air, running the spectrum from deep and wet-earthy to high and sweet and wet-mushroom-like. Poe feels like laying on the earth, deep in some woods, surrounded by silence, a dryness filling the air, while the smell of soil and trees and a distant meadow of flowers reaches the nose, the body shrouded in an invisible blanket of stillness and of "presence." Following on the dregs (rather than the heels!) 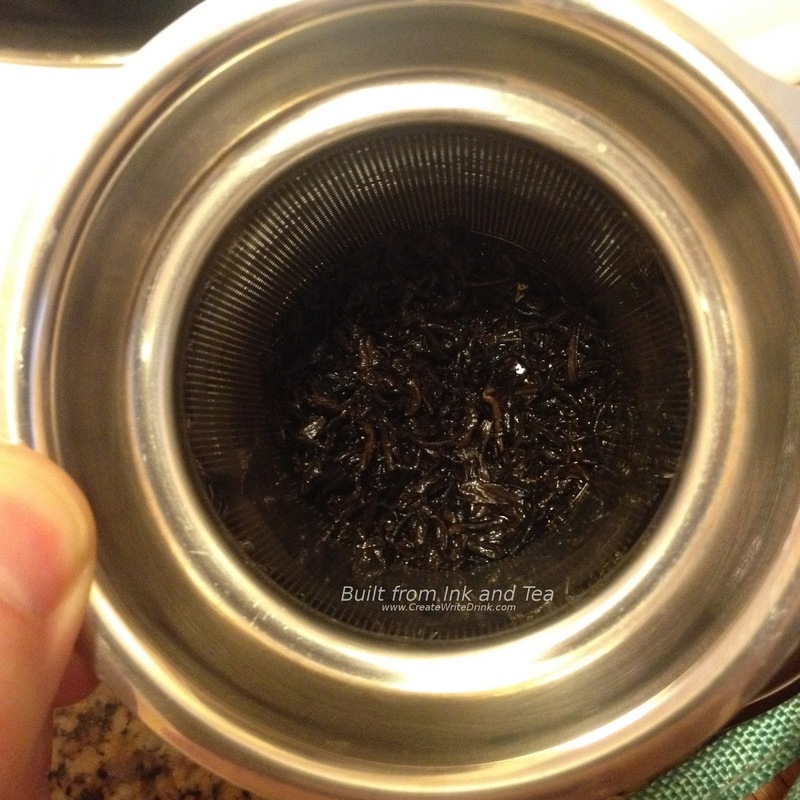 of last week's review of Pu Erh Dante from Adagio Teas, another of their unflavored pu'erh teas is filling the cup this week for our review. This shou pu'erh promises "clean, woodsy aroma" and "wilted flower notes and a faint dark chocolate texture". 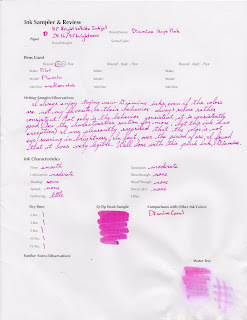 To me, the description Adagio provides seems to suggest flavors that might be a bit milder than Dante. I have started brewing the water and am eager to find out! If you have not already, I recommend reading last week's post, here, where I briefly summarize Adagio Teas' pu'erh offerings and dive into a cup of Pu Erh Dante. Likely, I am going to make some comparisons, throughout this post, since at first glance they do not seem to dissimilar. To begin, with Pu Erh Poe, I followed the same brewing instructions as I did with Pu Erh Dante, a more Western-style brewing of one and a half teaspoons of loose leaf in twelve ounces of just-boiled water. Adagio recommends three to five minutes, and I went with five. In part, this was due to my preference for stronger tea, but also I accidentally steeped the cup of Dante for that long, as well, so I want them to be fairly equal as far as strength. I love pu'erh. Even the aromas of a cheap pu'erh will make me smile, as the earthiness wafts my way. Smelling Pu Erh Poe, I put my nose almost into the bag, breathing deeply, and the aromas that fill my nostrils are gentle and soft. They seem almost like a woodsy blanket, as if the smell of this tea was the aromatic embodiment of a cotton blanket - not too thick and not thin, like a sheet might be. I agree with Adagio's "warm hay inside a barn" description, and this is where I noticed one of the differences from Dante: Poe smells more dry. Now, of course the leaves are all dry, until you steep them, but the smell itself seems drier. 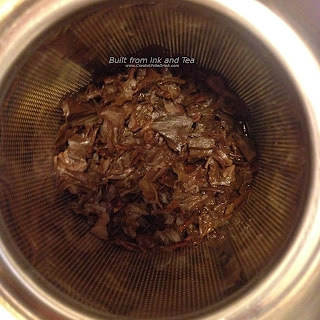 Taking a few more deep breaths of Pu Erh Poe, I think I smell faint floral notes, and I am curious to see if they manifest themselves in the flavors. I smell the brewed cup, when the steeping is done. I frown. An eyebrow raises, questioningly. The tea smells muddy. While not entirely unpleasant, muddy aromas were not what I was expecting, nor were they what was suggested that I might expect. For that matter, muddy aromas do not comprise my typical experience with pu'erh, so these were certainly a cause for me to wonder. I took another moment to really breathe-in the aroma and try to break it down, mentally. The warm hay smell presents itself, and it still seems to make the aroma "dry." Faint floral notes touch the edges of the cup's aroma in much the same way that they did the dry leaves; there is little change with them. Woodsy mushroom aromas seem to tease the smell of the tea, suggesting their presence and little more. It took a moment, but my tongue finally located the flavors of the tea. That was strange, that for a brief moment, I did not taste anything, when I took the first sip. Then the flavors started dispersing across the tongue, and I picked-up on them individually. With my second sip, I focused on the tea as it settled. It tastes almost exactly like the brewed cup smells. Almost exactly. The aftertaste carries flavors that I do not recognize from the aromas. They seem more damp, more reminiscent of soft, damp earth. They also have with them some of the mushroom aspect. Despite the ramble above on the differences, I feel like Pu Erh Poe provides another great daily-drinking pu'erh, just like Pu Erh Dante did. I think each will have their own fans, who prefer one of the flavor profiles of one over the other. For me, Poe took about half the cup before I really "got into" it. The tea was enjoyable, but I think I preferred the more forest notes of Dante. On my personal enjoyment scale, I would rate Pu Erh Poe a 3. 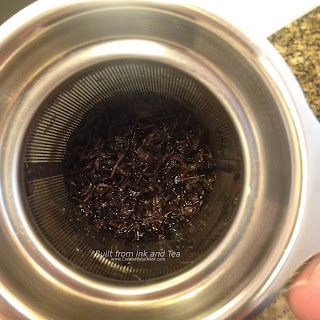 Adagio Teas' Pu Erh Poe is available from their website, here. 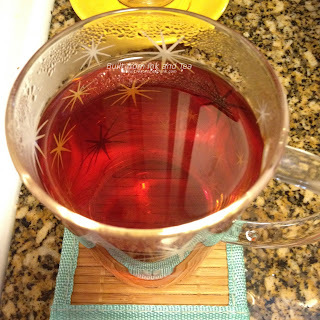 In the past, my feelings have been mixed about pu'erh offered by Adagio Teas. 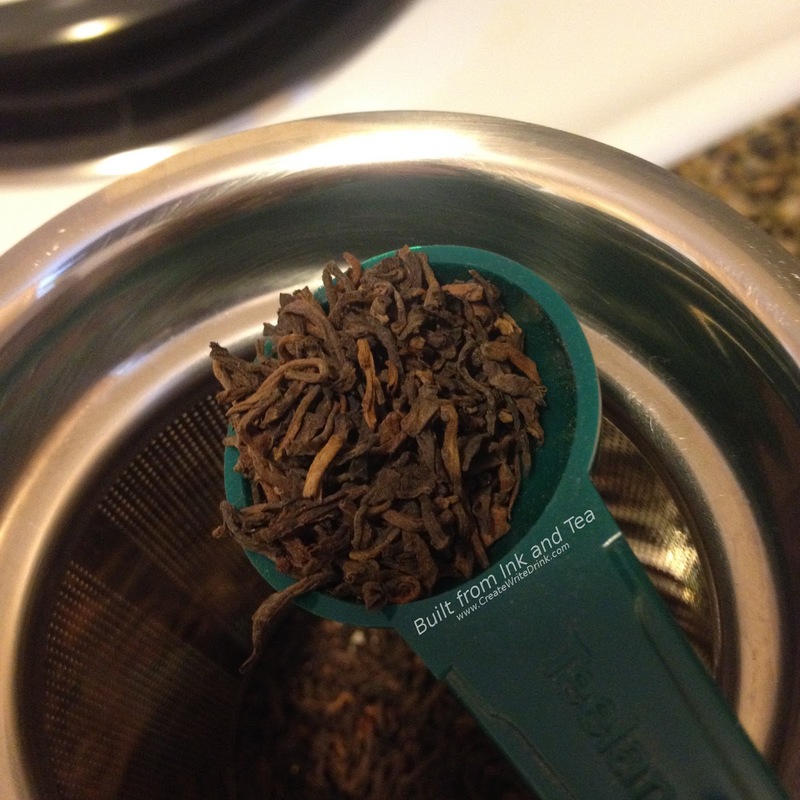 I really enjoy most of the tea I have tried from Adagio, but when fruit and pu'erh start to be thrown together (see this review of Adagio's Pu Erh Hazelberry), I raise a questioning eyebrow. However, today we are taking a look at a tea that promises nothing but the flavors of earth and woods - keys to a perfect pu'erh for me. Adagio Teas offers three unflavored shou pu'erh teas (outside of their Masters line of premium teas): Pu Erh Dante, Pu Erh Poe, and Pu Erh Pearls. The descriptions suggest differences, but only a review will tell. As a pu'erh enthusiast, I do wish that they would provide more information about their pu'erh, such as age, origin, etc. 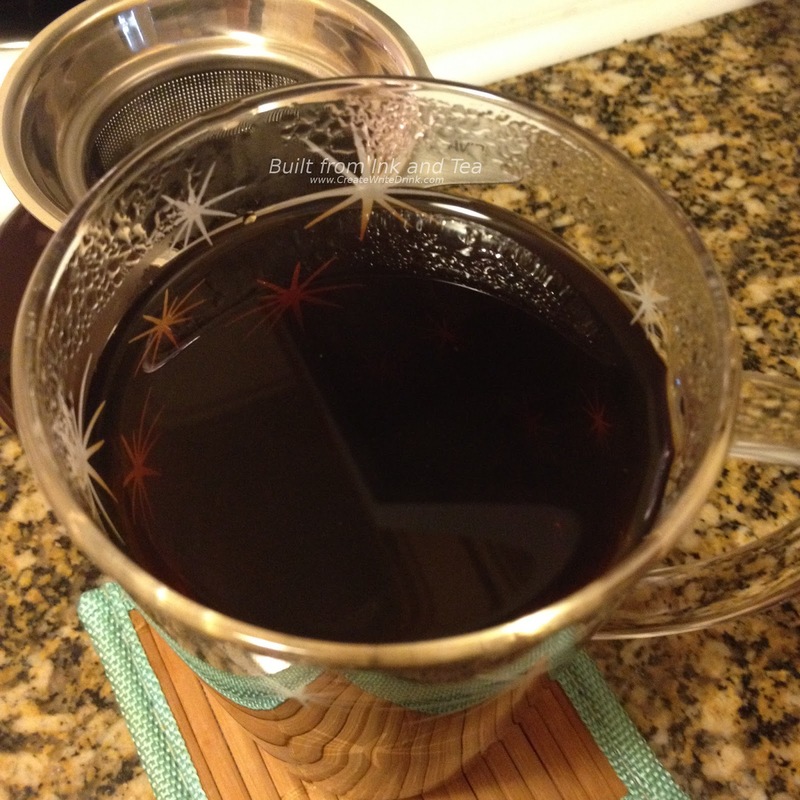 In my cup today, I have brewed Pu Erh Dante. Given the western audience for this tea, I used Adagio's directions and brewed 1.5 teaspoons in 12 ounces of water. Originally, the intention had been to only steep it for four minutes, but...distractions happen, and it had steeped for five before I removed the leaves. And the cup was dark. Very dark. The dry leaves had given off really mellow aromas of mushrooms with a touch of sweet, dark fruit, akin to plums. It initially disappointed me, as the smell seemed very one-dimensional. The steeped cup seemed a bit less...simple. I wanted to say a "bit less bland," but bland is neither fair nor accurate. 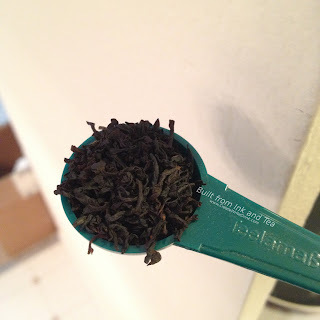 The dry leaf aromas are rather pleasant, but they seem to lack complexity that I know pu'erh can provide. So, that said, a "bit less simple" actually stretches things. In the aroma from the cup, mushrooms are joined by undertones of damp earth, and I smile at the familiar and joy-bringing scent. Once the tea cools slightly, I take my first sips. Well-rounded forest-y notes wash over the tongue and fill the mouth. For the simplicity of the aroma, I am surprised by the fullness of the body. The lighter mushroom flavors seem to come in and out, and still there is a natural sweetness of sorts, which in the aroma I had compared to dark fruit. On the finish, that sweetness lingers in the back of the throat, providing sharp contrast to the deep notes of wet earth that underscore the overall flavor. Overall the flavors of this tea seemed far better to me than did the aromas. 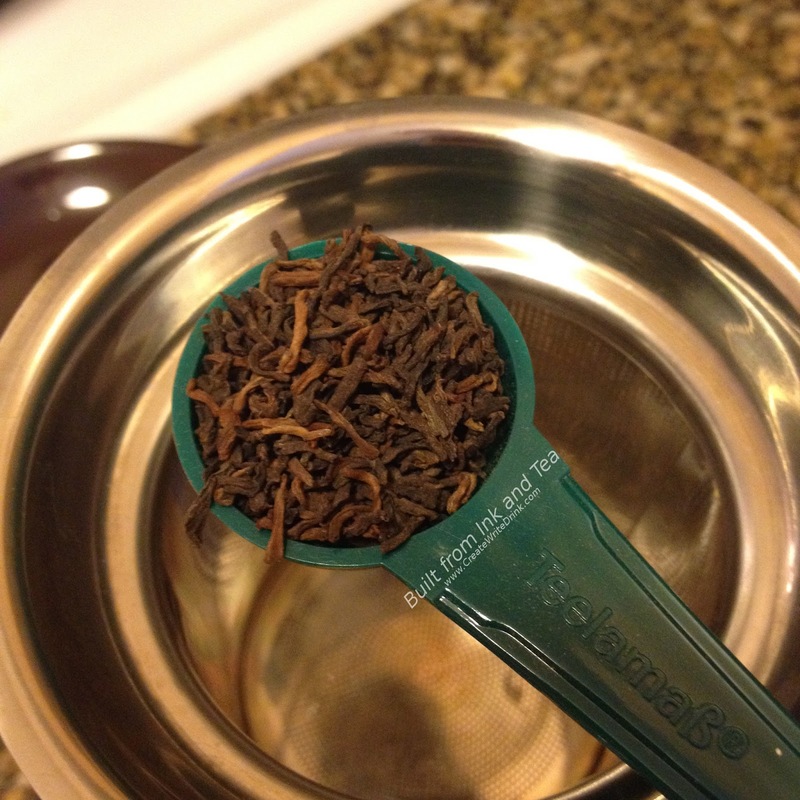 For the price, this would make a good daily-drinking pu'erh, and the loose leaf format makes it easily manageable for different steeping environments. On my personal enjoyment scale, I would rate Pu Erh Dante a 3. 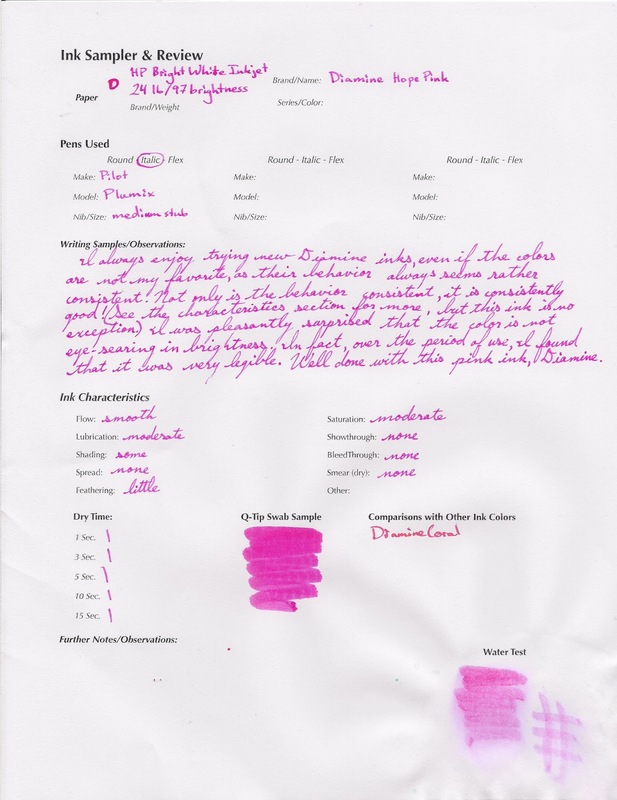 Adagio Teas' Pu Erh Dante is available from their website, here.